There may be an outbreak of canine influenza in the Lebanon area. 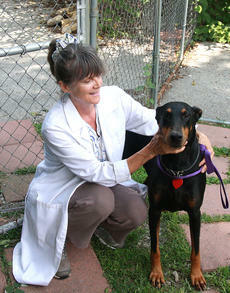 Dr. Sabra St. Germain at All Paws in Lebanon believes that could be what she has been seeing in some dogs. Magistrates voted to invest $112,000 into the Marion County Jobs Training Consortium to help improve the quality of technical education for Marion County students at the Marion County Area Technology Center (MCATC) during its regular monthly meeting July 17. Family Resource Director Amy Newton and Glasscock Elementary School staff invited the community to a special presentation to highlight their week of summer school Friday afternoon. The presentation included a physical education demonstration with Danny Marks. It also included two songs that focus around the theme of summer school this year, which was oceanic life and the world they live in. 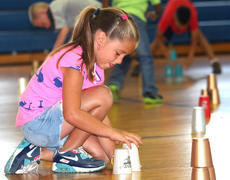 According to Newton, 104 students participated at summer school at GES. When all lessons were complete at the end of the week, the students went on a field trip to Newport Aquarium. 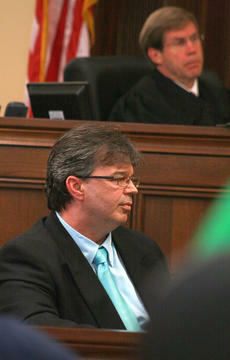 Last week, six men and six women found Christopher Gribbins guilty of wanton murder in the death of David Litsey Jr. The jurors started their deliberations around 5:30 p.m., Thursday, July 17, and their decision was announced shortly before 9 p.m.
“We appreciate the jury’s service and respect their decision,” Commonwealth’s Attorney Shelly Miller said after the verdict. 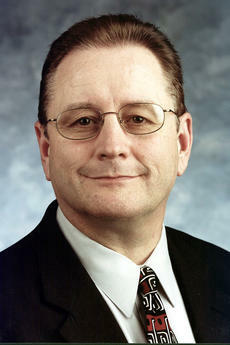 Gribbins’ attorneys, Scott Hayworth and James Lowery, both of Lexington, declined to comment. 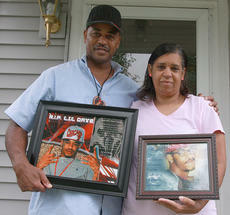 David and Linda Litsey lost their son, David Jr., nearly 20 months ago, but they will always remember him. 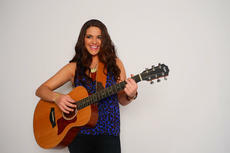 They will remember him as an athlete and a musician, and they will remember him for his willingness to help others. “He’s always been a go-getter. Whatever he would do, he did 100 percent or better,” David Sr. said. They also remember getting David Jr. his first car, a Ford Fiesta, when he was in high school. “He rode around in that car like he had a big old Cadillac,” David Sr. said. From the producers of last year’s Oklahoma! comes one of the most popular Broadway musicals of all time “Guys and Dolls.” Kentucky Classic Theatre presents “Guys and Dolls Jr.” at Angelic Hall in Lebanon July 24-26 at 7 p.m., and in the Russ Mobley Theater at Campbellsville University July 31-Aug. 2 at 7:30 p.m.
Campbellsville native Hannah Ellis and a live band from Nashville will be performing in Angelic Hall, the beautiful theatre at Centre Square in Lebanon at 7 p.m., Aug. 2. Chances are high that you’ve never participated in anything like what is going down at Pope’s Creek Ranch on Saturday. 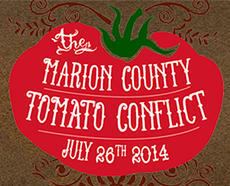 That would be the Marion County Tomato Conflict, loosely based on La Tomatina in Spain. It’s essentially a massive tomato-chucking fight. Pope’s Creek Ranch general manager David Neville said the event is so unique, even he doesn’t know what to expect.